The highlight of the RIF of NOVA program, of course, is getting books into the hands of eager and deserving children. 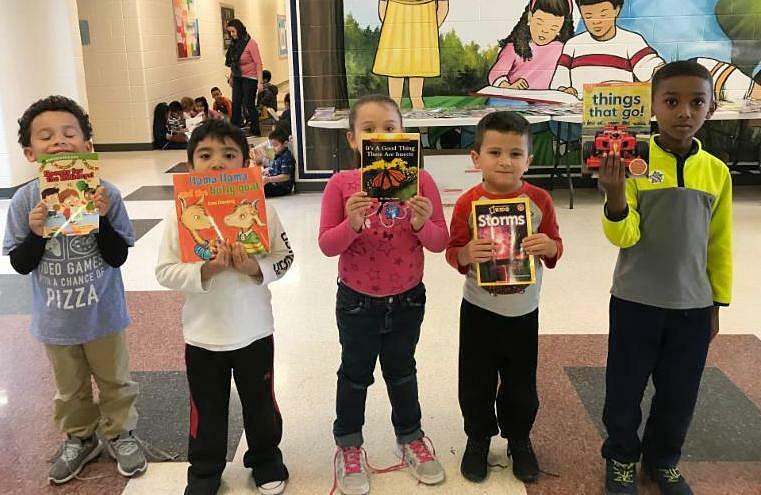 Book distribution events take place in all 39 schools and sites served by RIF of NOVA -- thanks to liaisons, teachers, reading specialists, librarians, parents, and volunteers -- and, of course, to donors who make it all possible! (Thank you!!!!) Distributions are usually very clever, often embracing a holiday or event in the news. The faces of our children tell the stories of three distributions so far this fall! Halloween at the ACCA CDC was One Big Deal, er, Big Pumpkin! 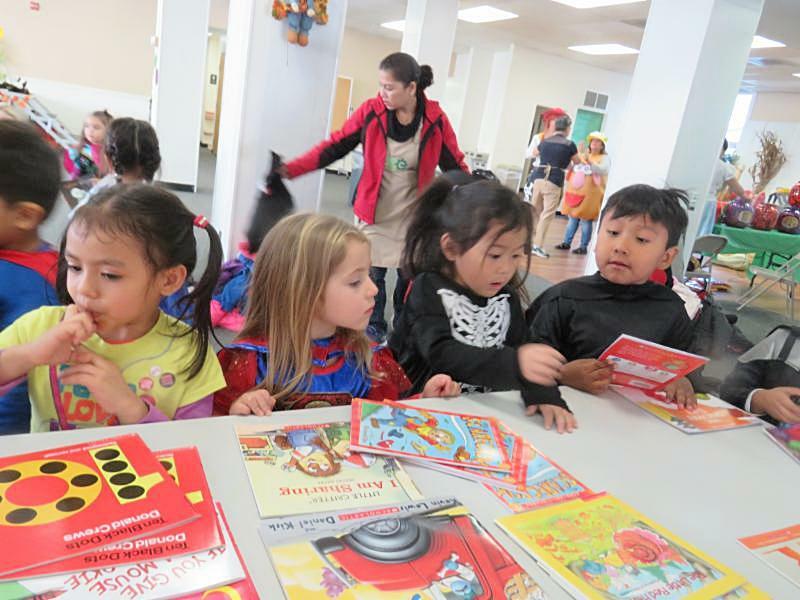 Once again, the ACCA Child Development Center in Annandale held its annual "Big Pumpkin" celebration, featuring the book by Erica Silverman. 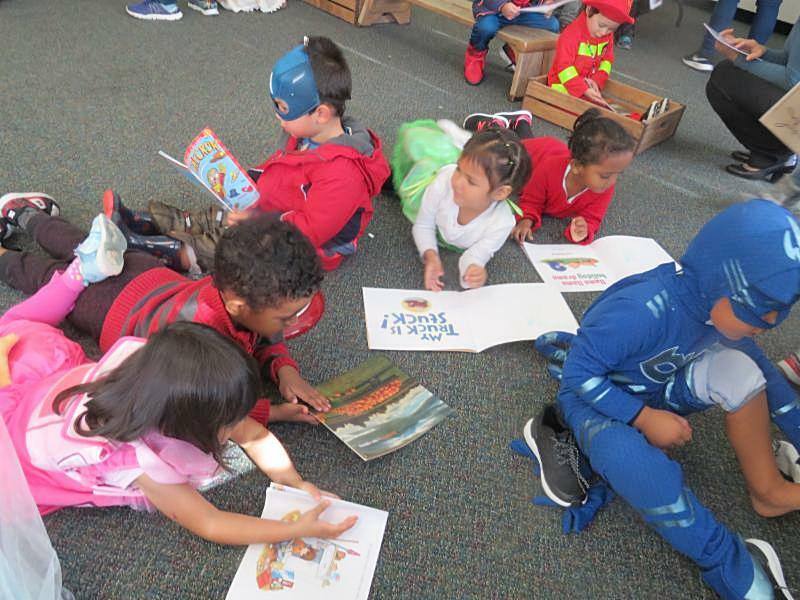 Some of the highlights of the annual event include kids, teachers, and parents in Halloween costumes, yummy treats, and book selections, along with the reenactment of the Silverman book. Do you remember the story? Once there was a witch who longed for pumpkin pie. Unfortunately, the pumpkin she had grown from a seed became so big she simply couldn't get it off the vine. Although she pulled and she tugged and she pulled...that pumpkin just sat. With Halloween just hours away, the witch had to turn to others for help, discovering both the value of cooperating and the joy of sharing. 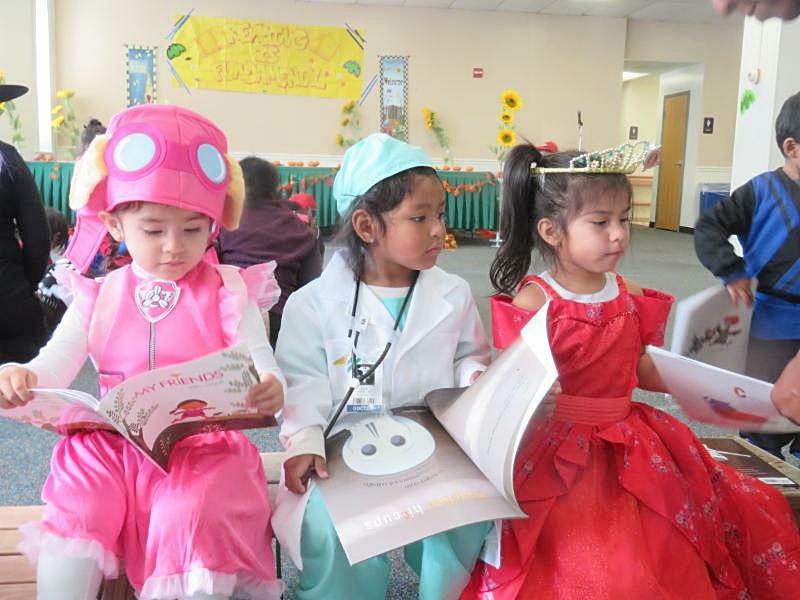 Seriously, do the costumes and the children in them get any more adorable than this? At the display table, children pondered their many RIF of NOVA book choices. With a book in hand, it was time to get comfortable and read, read, read! 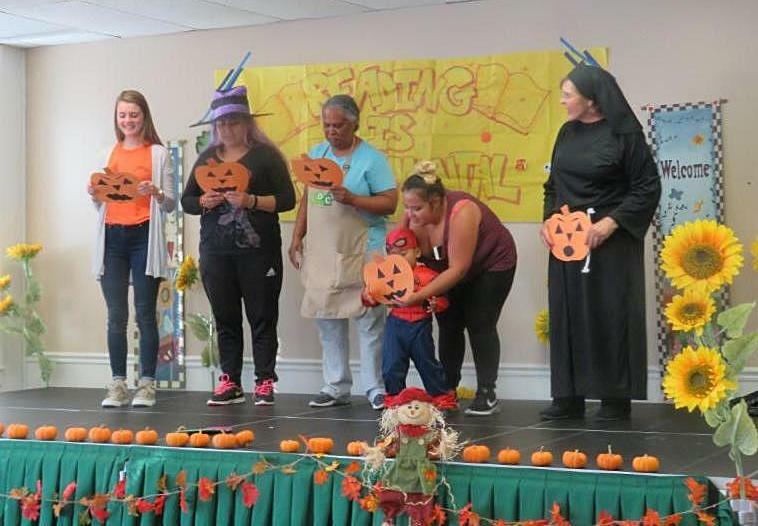 On stage, teachers and parents acted out the story of the Big Pumpkin. Helping this year was RIF of NOVA board member Christine McLaughlin (r), dressed as Miss Clavel from the Madeline series. 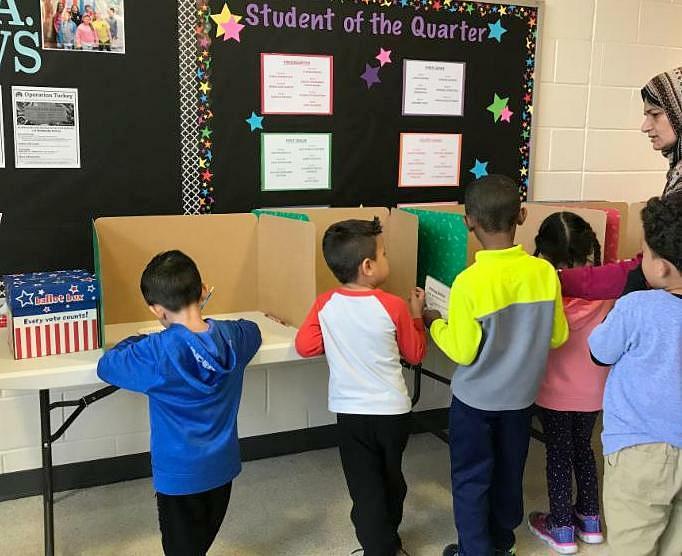 The distribution at Yorkshire Elementary School in Manassas held its own version of Election Day! Before the "voting" started, the children watched a video done by the principal, assistant principal, and the principal's intern. They read a book about a president: Duck for President, Grace for President, or President Squid. When the children entered the "voting booth," they got to vote for their favorite book "candidate." 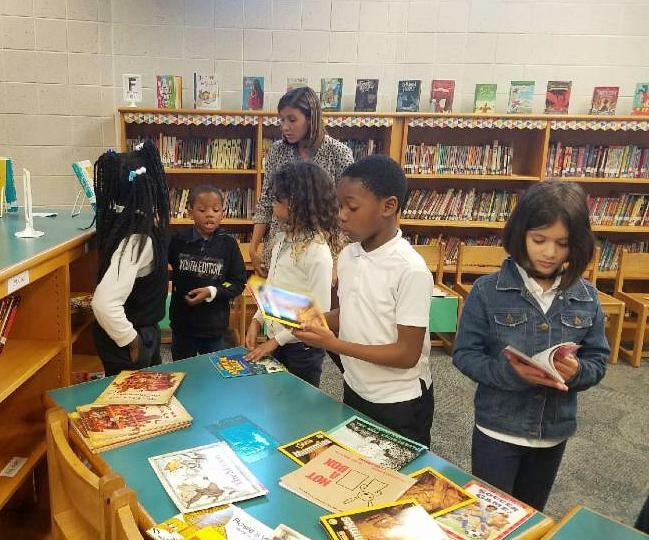 After receiving an "I Voted Today" sticker from RIF of NOVA liaisons Karen Cherico and Bethany Drake, the kids were able to pick out a book to take home forever. This was not only a celebration of good reading, but of good citizenship, too! In the voting booth, choosing a new "president!" A happy "electorate" with books to show for their participation in literary "democracy!" 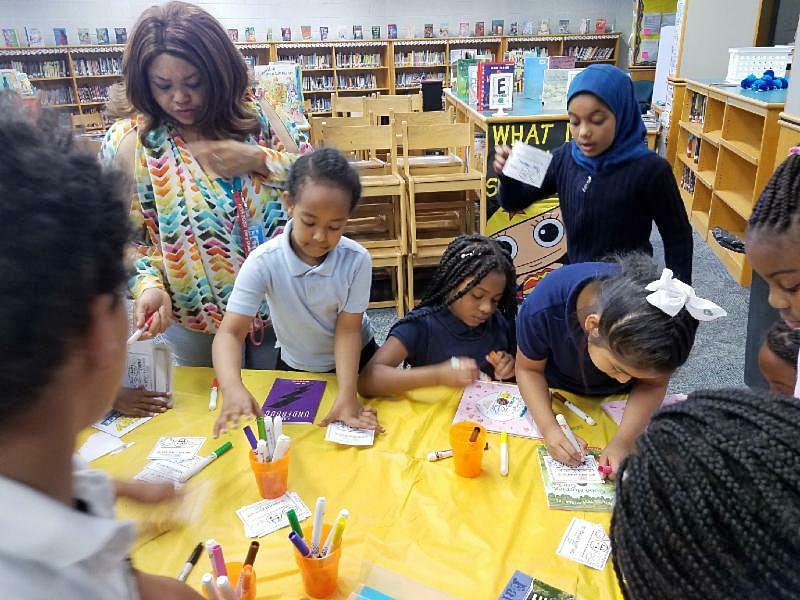 Second, third, and fourth graders at Patrick Henry Elementary School in Alexandria enjoyed a book distribution celebration with the theme: "Thankful for RIF." Before picking out their books, each student wrote a thank you note on a yellow banner, which was then hung on the library circulation desk. The children lined up to add their signatures to the big thank you note for RIF of NOVA! 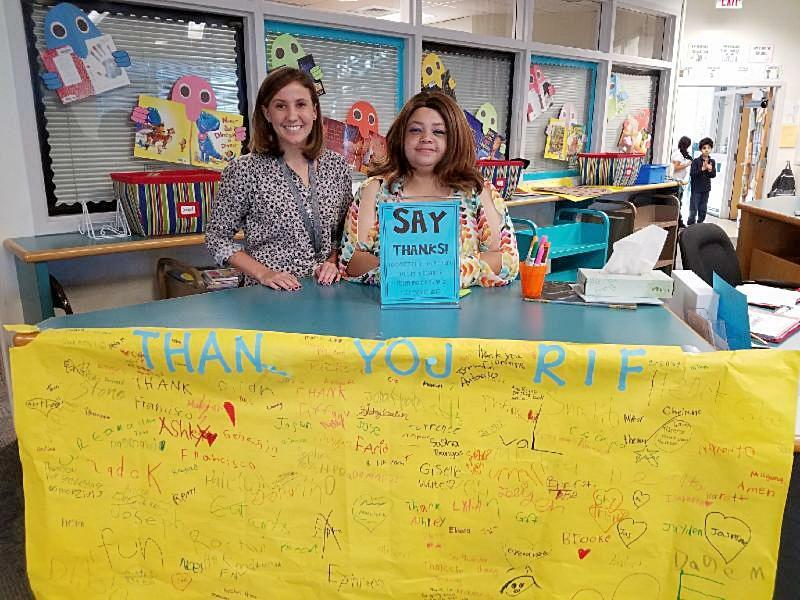 RIF of NOVA liaison and librarian Kelsey Frey (l) and library assistant Dana Sterling showed off the autographed "Thank You RIF" banner. Time to find a good book. So many good choices to be thankful for! New books always bring smiles! 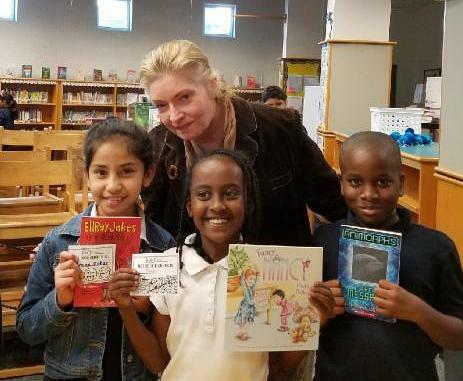 RIF of NOVA board member Glenna Orr posed with students and their new RIF of NOVA books. Kids, dogs, and a good book are a great combination, according to researchers in the UC Davis School of Veterinary Medicine. Children become better readers when they regularly read aloud to dogs (or cats, if they will stay still long enough!). In two different studies, one with third graders in a public school and one with home-schooled students, researchers found that the kids’ reading fluency improved by 12 percent in the first study and by 30 percent in the second. Reading to the dogs made the children feel relaxed, even if they weren’t great readers to start. The researchers suspect that the patient, nonjudgmental attention that the dogs offer is key to bringing about the changes in the kids’ attitudes toward reading. Many animal organizations, such as Paws to Read, have developed reading programs, in conjunction with local libraries, that pair up kids and dogs. 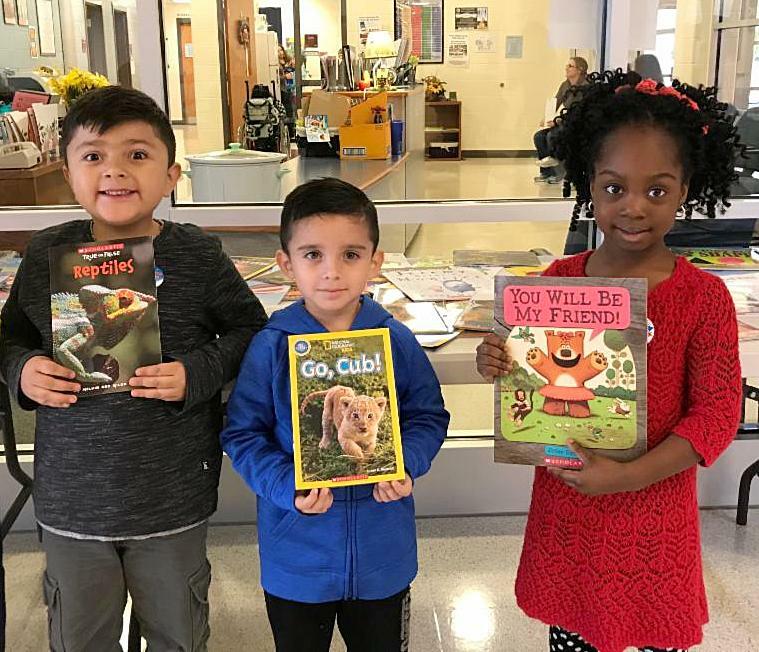 Check out the Arlington Library Paws to Read program here. Alexandria's program can be found here. In this case, going to the dogs can be a very good thing! Woof! RIF of NOVA is pleased to be a participant in the United Way of the National Capital Area (UWNCA) Campaign . If your employer contributes through the United Way, please consider designating your gift to RIF of NOVA. Our United Way designation number is: 8959. RIF of NOVA is also a participant in the Combined Federal Campaign. Federal employees, contractors, and retirees are eligible to participate in this annual fund-raising effort to help non-profits like RIF of NOVA. RIF of NOVA's CFC number is: 18818. Learn about this year's CFC campaign, "Show Some Love," here! Another easy-peasy way to help: go to smile.amazon.com and type in Reading Is Fundamental of Northern Virginia, Inc. to select us as the charity you want to support. Amazon will donate 0.5% of your eligible purchases to RIF of NOVA. If you are ordering gifts for the holidays, this is an easy way to contribute bit by bit towards books for children. Or give directly via PayPal on the RIF of NOVA website: www.rifnova.org .